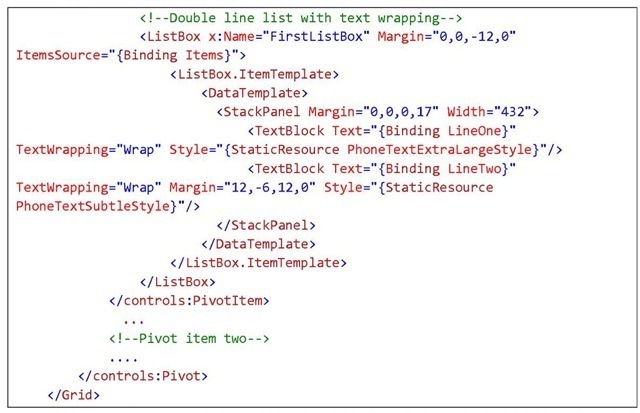 • Reduce the number of pages in Pivot control for performance reasons. • Boost application performance by displaying data on-demand as opposed to loading all of them at once in the beginning. 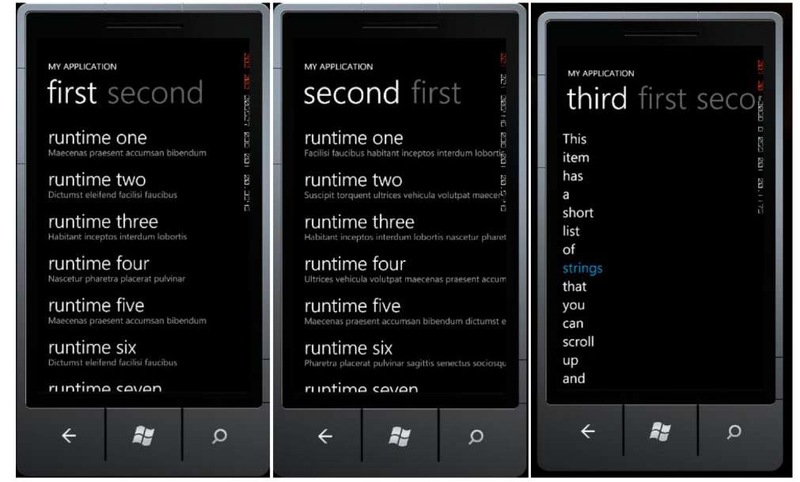 • Make sure that each item displayed to users is of the same type. 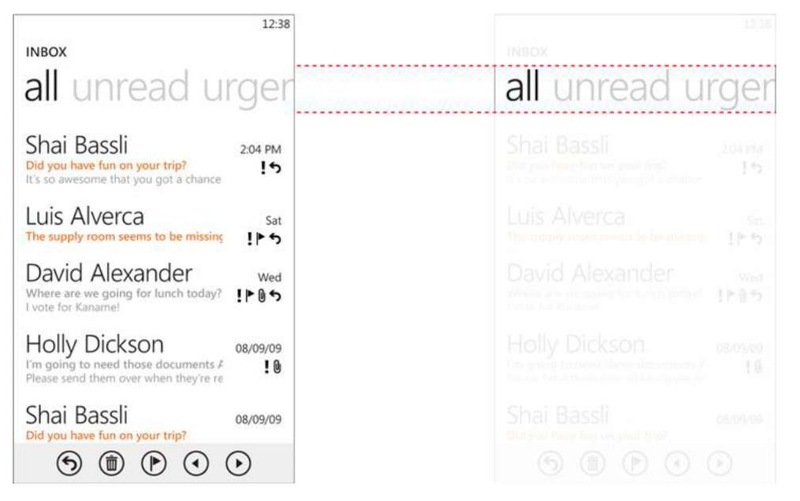 • Pivot control should only be used if it suits the desired user experience. 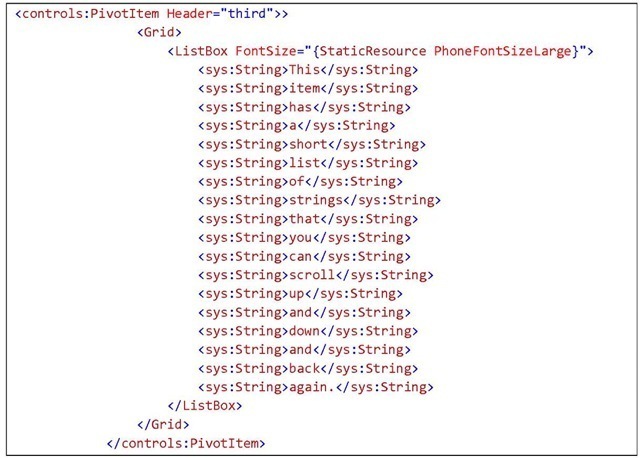 Now let us learn how to use Pivot control in an application. 1. 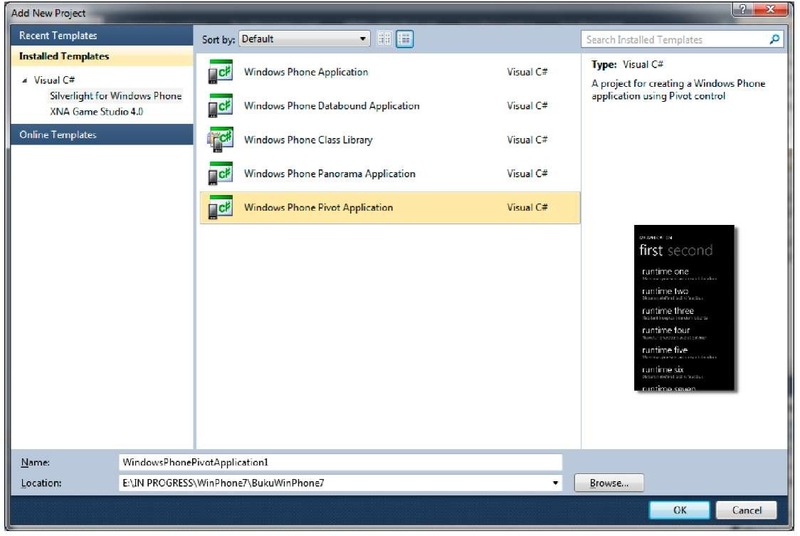 Create a new Windows Phone Pivot Application. 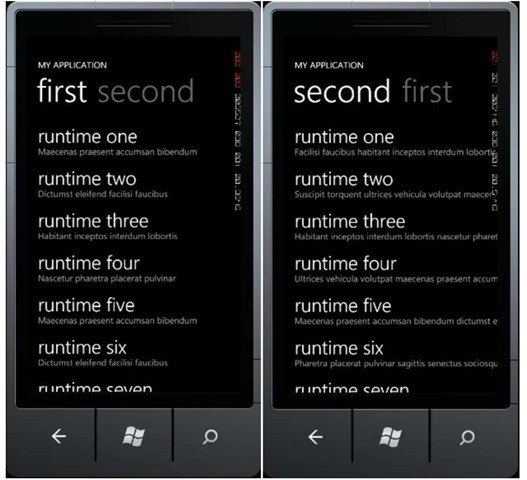 To continue from the previous exercise, right click on the project and select Add Windows Phone Pivot Page. Or if you want to add Pivot control on existing page, drag and drop from the toolbox to your page. 2. 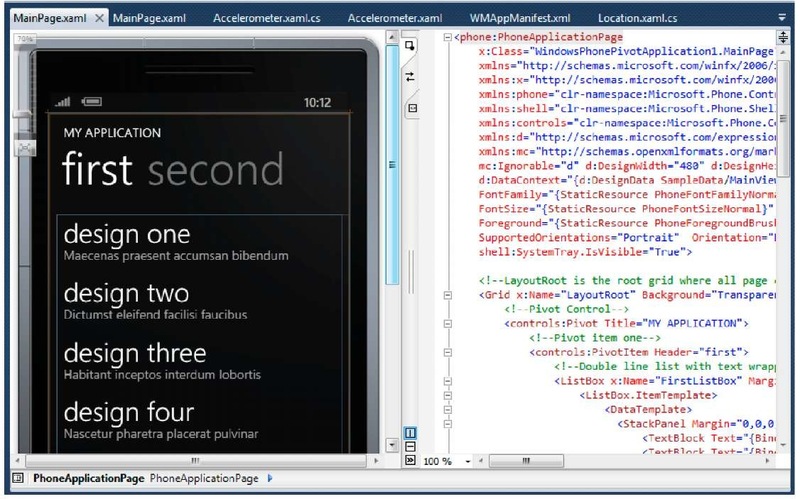 We will only use the template that is generated automatically while creating the application. Press F5 and see the results. 5. Press F5 for results.